The hit CW television series The Flash premiered its fifth season last night. The void in between this season’s pilot and the finale of the previous season was one filled with questions for fans of the Scarlet Speedster, some of which were answered if you caught last night’s episode or are reading this now (FYI, that was your spoiler warning so proceed beyond this point with caution). The season four finale felt underwhelming for much of the viewer base, but with the revelation of the same season’s mystery girl actually being Barry and Iris’ daughter from the future, fans quickly forgot the anticlimactic showdown against the Thinker and were eager to learn more about this time-traveling girl. The season five premiere opens by picking up where the series had left off, and the girl officially introduces herself as Nora West-Allen, a speedster who goes by XS (a name which a very inebriated Cisco Ramone makes clear he didn’t come up with). Adding to their list of conundrums, Cecile discovers that she can hear her newborn baby girl’s thoughts, revealing that she did not, in fact, lose her mind-reading powers upon giving birth, as the team thought would occur. This information comes as a surprise to almost everyone, but most so to Elongated Man Ralph Dibny, to whom the idea of time travel is a bit of a new layer to the weirdness that is part and parcel of being a member of Team Flash. At first, Barry is hesitant to trust Nora and mentions to Iris – who is actually excited at the prospect of meeting and getting to know their future daughter – that they’ve been lied to before with regards to time-traveling individuals. These suspicions are relieved when a lab test by Caitlin and Cisco reveals genetic markers for both Barry Allen and Iris, who also notes that Nora’s Speed Force Lightning is a mix of Barry’s yellow and Iris’ violet lightning (want to learn more about Speed Force lightning as it relates to the greater DCU? Check out Friday Flash Facts: Speed Force Lightning). Relenting to the obvious truth of the girl’s parentage, Barry now shifts his worries to how her presence may negatively impact the timestream, as he is acutely aware of what happens when speedsters mess with time, offering the Flashpoint paradox as a self-deprecating example. Realizing that he’s late to see Captain Singh at the Central City Police Department, Barry dashes off, leaving everyone else to figure out what their next steps should be. At the CCPD, Barry is reinstated to his position as the department’s CSI by Singh, having been cleared of all the charges related to the incident with Clifford DeVoe in last season. Before stepping into the elevator, Singh informs Barry that they didn’t find a replacement for his position while he was on hiatus, and jokingly notes that a few case files may have piled up while he was away. Upon returning to his lab, Barry is met with a mountain range of files. Just as he sets his mind to work, Nora dashes in and offers to help, revealing that in her time she is also a CSI just like her dad. Barry gets a call that there’s a metahuman attack happening downtown and rushes off to handle it, telling Nora to stay put as a matter of avoiding further risk to the timeline. When he reaches the scene, a kinetically charged, very large man is attacking an armored vehicle. Barry attempts to put a quick end to the situation by hitting the masked man with a lightning-augmented punch. This only temporarily shuts him down, however, and just as Nora shows up and Barry tells her that she shouldn’t be there, the criminal gets up, appearing further charged than he was before, and hits Barry with a punch that knocks him several blocks away and allows for his escape. Back at S.T.A.R. Labs, Team Flash tries to figure out what to do next while Caitlin and Cisco visit the crime scene with their dark matter scanner to try and get a better read on what they’re dealing with. They discover that the meta’s (who Nora informed them was called Gridlock) dark matter energy levels increased throughout the confrontation, deducing that Gridlock’s powers allow him to absorb any kind of kinetic energy and convert it into power for himself. This poses a definite problem for Team Flash, and as they continue to think of solutions, they also learn that Nora had gained her information on Gridlock from her time’s Flash Museum – a facility dedicated to all things Flash, including all of his tragedies and triumphs, allies and enemies. According to Nora, Gridlock was small-time – a one-and-done meta, but her interfering with the conflict changed things and now he’s on the loose. And with the S.T.A.R. Labs satellite having been destroyed last season, the team is flying (or running) blind with few reliable ways to track metahumans and no way of staying two steps ahead of their targets. Unable to run fast enough to summon the Speed Force on her own as of her falling into the present time, the team attaches the tachyon conversion device used by Barry and Thawne back in season one to Nora, and prepare to send her back to the future. Iris says that she’s sorry they didn’t get to spend more time with each other, but Nora says not to worry, while hugging her dad, as they get to spend their whole lives together. Just as Barry and Nora race into the particle accelerator to send Nora home, Wally arrives in the lab to tell the team that they need to stop the speedsters from running, but he’s too late. As the Speed Force portal opens, it collapses and knocks out both Barry and Nora. Wally then reveals that after tracking down the Legends of Tomorrow, he was able to discover that Nora had negative tachyons on her that cancel out the use of normal ones, and that those are what impeded their attempt to send her home. While the team attempts to understand how to counterbalance these new negative tachyons – which Barry notes feel so foreign that they’re almost more science fiction than science – Iris asks Barry why he’s so intent on sending Nora home right away instead of getting to know her better, noting that they seem to have a connection already and that she seems to never want to leave his side. Barry opens up and admits that, beyond not wanting to negatively impact the timestream, he’s worried that they’re getting robbed of all of their “firsts” with their child and that those experiences won’t be the same now that they’ve met Nora. Iris encourages him, offering that while they may have already met their child, that far from means they’re not going to have the same great experiences with her as she grows up. This was one of the better emotional moments between Grant and Candace. Barry then visits Nora in one of the lab workshops and asks her what she’s hiding, having noticed that her goodbye to Iris was different from the one she gave him, and asks why she said that they’d know each other her whole life to Iris, but not to him. Before she can answer, Barry deduces that it’s because he’s not around anymore. Nora reveals that he disappeared when she was only two years old. Barry is able to piece together what his future daughter is telling him and looks at the holographic news headline that’s been a present question in the back of my mind since the first season: “FLASH MISSING – VANISHES IN CRISIS.” This, I hope, is a nod and homage to the iconic DC comics continuity reset Crisis on Infinite Earths. This is further supported by Nora showing Barry another article written 25 years later, which reads, “25 YEARS LATER – FLASH STILL MISSING,” which is a shout-out to the length of actual years that Barry Allen was “dead” in the DC comics continuity after vanishing in the aforementioned comic book event. It remains to be seen whether or not the CW show writers plan on harkening back to the source material more this season, after numerous complaints from long-time Flash fans regarding their lack of adherence to it thus far. That being said, the season premiere caps off with the trio of Barry – who donned a “new” suit given to him by Nora that will make fans very happy (he’s finally got that ring, friends) – Wally and Nora racing to stop Gridlock from crashing a passenger jet into Central City proper. Cisco vibes them into the capacity plane just as it reaches peak altitude and hits zero G’s for a split second, long enough for them to knock out Gridlock while his powers are useless. The speedsters then expertly phase the entire jet, and all those inside of it, safely through tall buildings and a bridge before it lands harmlessly in the bay. 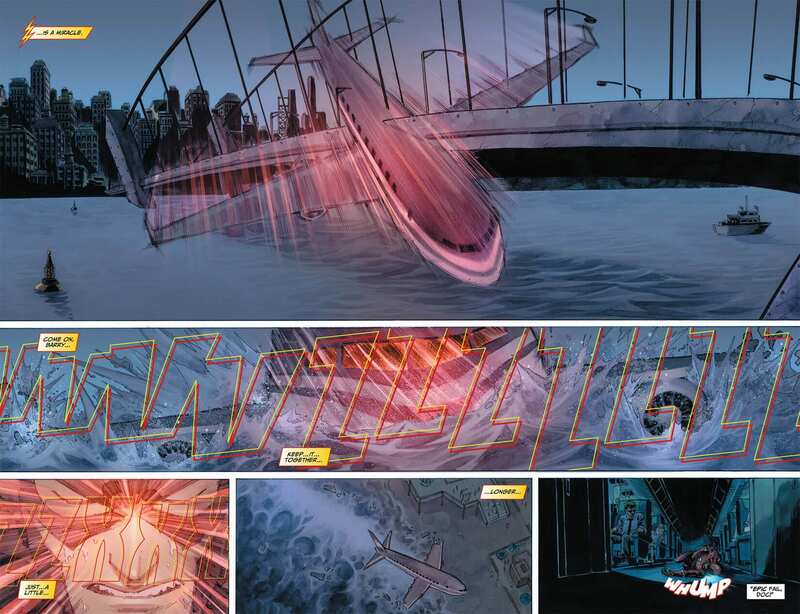 This scene was the CW’s take on one of Barry Allen’s most impressive feats of speed (to read more, check out Friday Flash Facts: Iconic Feats of Speed) as shown in New 52 The Flash #3, which Nora even mentions was something he did while dealing with the villain Mob Rule (also a reference to the same issue). After the harrowing events, Barry decides that Nora should stay a little while longer so that he can not only spend more time with her but also help train her to be more proficient with her powers – no doubt a sign of shenanigans yet to come this season. By this point in the series’ tenure, the cast works well together, and provided we don’t have Iris force-fed down our throats like last season, there is a lot of potential for growth from the other characters. 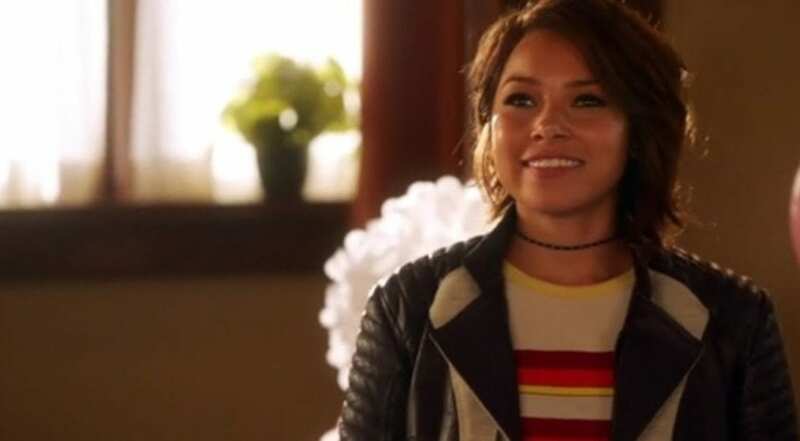 Nora, played by actress Jessica Parker Kennedy, seems to fit in well with the team so far, and there’s solid chemistry already between her and Barry Allen actor Grant Gustin; if she plays as pivotal a role moving forward, as can be inferred from this episode, that will lend itself well to the overall team dynamic. The CW still needs to channel more funding into the special effects for this show; although the series has been progressing in this area, it’s been at a snail’s pace. Given its popularity, it is deserving of more love in the visual effects department. There was a lot of setup in this first episode, and one can only hope that the writers will follow through with each plot thread they’re weaving here. Caitlin Snow is still feeling lost without her Killer Frost persona, but upon some digging by Ralph, may still have hope in uncovering where her “cooler” half came from and how to get her back. Cecile’s powers still being present will unquestionably lend themselves to problems now that she and “Papa” (as his granddaughter Nora calls him) Joe have a newborn baby girl to look after. And what becomes of Wally this season is anyone’s guess. After a heart-to-heart, Joe tells his son that it’s clear he hasn’t yet found what he was searching for, and as much as everyone loves having him back, he should take the time to finish what he started and find himself – coming back to the team when he’s ready. The season is off to an interesting and promising start, however; being the Flash Fanatic that I am, I am still concerned that the CW may take more liberties with characters than the fanbase cares for (they already have with “XS” Nora), but we’ll just have to keep watching every Tuesday night! What did you think of this episode? 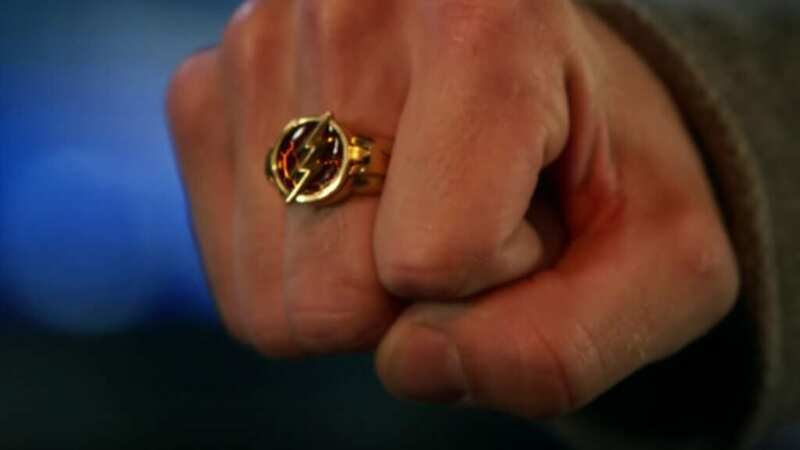 If you’re a Flash comic book fan, are you happy with the addition of more comic universe details such as Barry’s ring suit and more shout-outs to comic book events? What would you like to see from this season? Let’s us know your thoughts! With an apparent greater attention to source material detail and continued strong performances from the cast, The Flash is showing its strengths. But the series producers will need to show more love and attention to the visual effects and costume department to bring it up to 2018 standards. If this season continues to show a greater emphasis on overall plot and individual characters arcs instead of sole focus on one team member, then season 5 should be a return to form for the Scarlet Speedster.